STS Technical Services is hiring Aerospace Engineers IV in Atlanta, Georgia. Bachelor’s degree in Engineering or Computer Science or related degree strongly preferred. Significant technical training and experience in flight simulation required. Demonstrated superior analytical, mathematical, organizational, decision making and administrative skills, and capability to handle multiple projects simultaneously. Demonstrated superior technical leadership, mentoring and judgment. Demonstrated superior ability to be self-directed and self-motivated. Demonstrated superior verbal and written communication skills, including technical writing. Demonstrated superior ability to perform with a high level of accuracy and self- guidance with minimal supervision. Demonstrated overall understanding and application of FAA requirements and regulations. Apply advanced technical principles, theories, and concepts. Contribute to the development of new principles and concepts. Work on unusually complex technical problems and provide solutions which are highly innovative and ingenious. Works under consultative direction toward predetermined long-range goals and objectives. Develops advanced technological ideas and guides their development into a final product. Demonstrated ability to read and interpret aircraft and simulator schematics and wiring diagrams. Demonstrated knowledge of real-time simulation, host computer architecture and language, operating systems, programming languages, and peripheral devices. Demonstrated superior ability to read and comprehend complex technical concepts associated with flight simulation. Programming experience in languages such as Fortran and C/C++. Able to use MS Office applications. Demonstrated superior ability to communicate with and provide feedback to Managers, team members, customers and other affected parties regarding project status so all parties are effectively informed. Reports to Manager – Simulator Engineering. 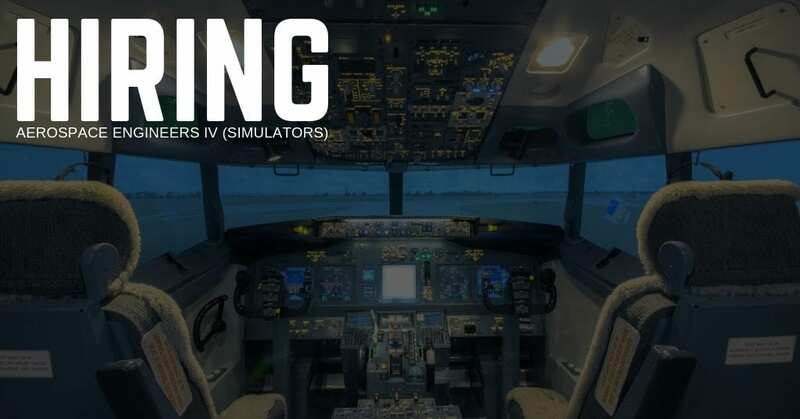 Performs software troubleshooting, research, design, testing and integration of changes to ensure our client’s simulators are compliant with FAA mandated requirements and pilot/maintenance training needs. Act as project manager during the building of new simulators and vendor supported modifications. Performs acceptance of new simulators, supports the recurrent qualification of simulators. Designs and integrates modifications to simulators to ensure commonality with our client’s aircraft fleet.